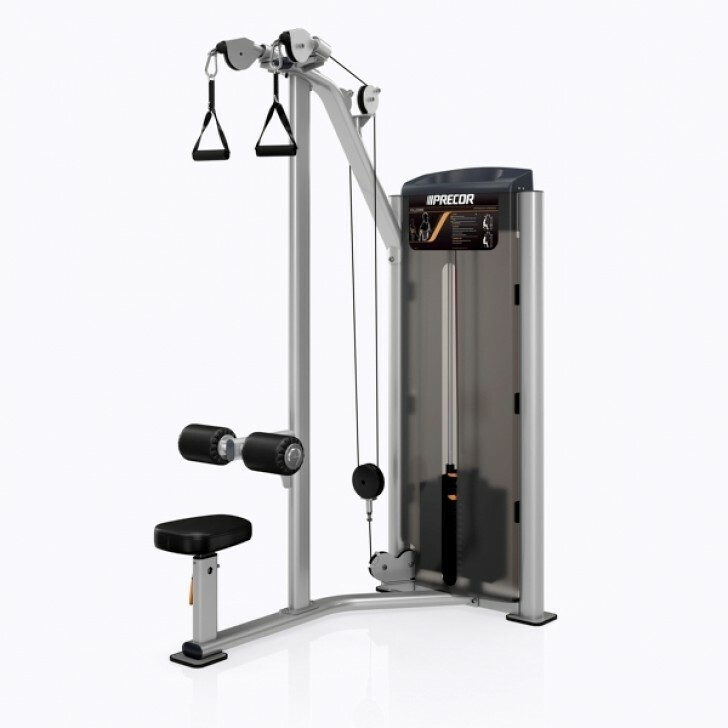 Vitality Series Pulldown features dual-pulley handles with independent and user-defined motion for workout variety. Ratcheting seat adjustment allows for desired pre-stretch. Fixed thigh pads at an optimal height for all users means less maintenance.